Keyword Research, Product Keyword Optimisation, Listing Improvement & much more! Keywords play a very important role whether you are in product search phase or optimizing your listing to improve product ranking and visibility. During product research, check search volume and competition to find out what would be a profitable product. While optimizing your listing, every small detail of the keyword becomes important. Critical factors to consider - Search volume, BSR, CPC, how many products are indexed for it. Keywords have the power to make or break your sales. Use filters on various metrics that will help you in narrowing down your keyword search. By choosing the right filters you can get a list of under utilized keywords for any given Amazon ASIN. Make keyword research to find products in an entire category you’re interested in to find out what are the best products to sell on Amazon. Check for high search volume, high BSR, and low competition keywords to give you a list of potential product to sell. Do product research intelligently. Keyword Research gives you real time, data backed intelligence for you to make the right decision at every stage. Optimization doesn’t just end there. How does Amazon know which listing to prioritize over others when there are hundreds of them? It checks a lot of factors while indexing a listing, like customer satisfaction, sales, prompt delivery, page views, content quality of the listing and many others. What is in fact in your control is optimizing the quality of the listing like keyword optimization, improving content quality by using several HD images, using bullet points, good description et. SellerApp analyzes seven areas of listing, compares it against recommended standard by Amazon and gives a logical score which is LQI - listing quality index. You can view a thorough analysis of product listing and make necessary changes to your listing to make it search friendly and improve visibility. Automate hours of manual work required to find out if your listing is indexed or not and its page rank. This needs to be done manually for each Amazon keyword. Instead find out indexing information, page rank and also high search volume keywords that have not been used in your listing. Utilize auto-suggested and trending features to find out what keyword is an Amazon suggestion and what’s currently trending on Amazon. Make use of these powerful features to optimize your listing with the best keywords. Improve your visibility and Amazon product ranking by using Amazon best keywords with high search volume. Choose keywords that are among Amazon suggestions and trending in the current month to be seen more by your potential buyers. Want to know what are the top keywords used by your competitors? No problem, do a reverse ASIN search and track all the keywords used by your competitors. Find out their page rank, indexing information, search volume and much more. Check competition for the keywords used and the CPC, run campaigns and beat your competitors. 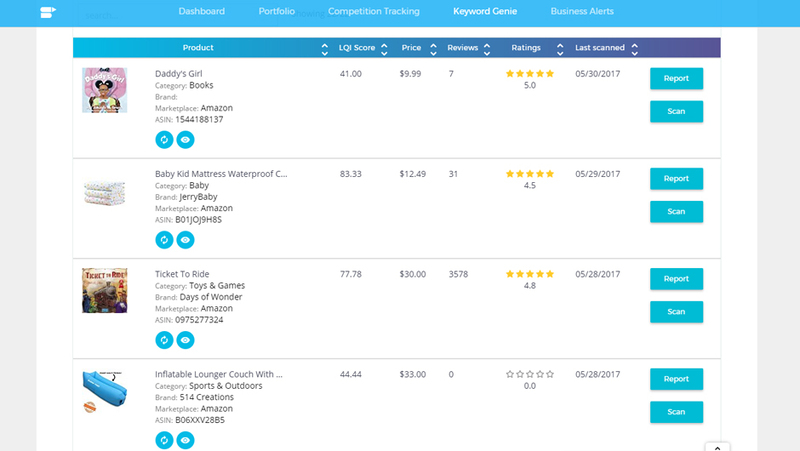 This can be easily done by tracking products of your competitors, so you can select the ASIN listing in the Product Keyword Optimization. Ready to boost your Amazon business? Are you an Amazon Seller facing challenges?